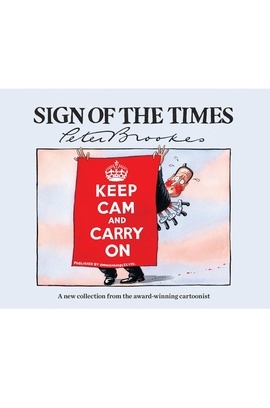 Sign of the Times is the latest collection of razor-sharp sketches of contemporary life by Britain’s finest political cartoonist. Peter Brookes, multiple winner of the British Press Awards Cartoonist of the Year, here showcases the stand-out pieces from his opinion page cartoons in The Times, up to the minute and breathtaking in their bite and wit. Full of mischief and political savvy, Sign of the Times subjects the world and its leaders to the most sophisticated of lampoonings, brilliantly satirising those who populate the political classes. From the recurring theme of Cameron and ‘Cleggers’ at Westminster Academy to international events and exploits, little escapes the well-aimed swipe of Brookes’s pen in this hilarious and entertaining collection of beautifully crafted cartoons. The master of satire's latest book. This is a brilliant collection of insight, thought provoking and razor-sharp sketches of contemporary and political life, all laced with wicked satire.